There's a trio of co-op titles out this week across multiple platforms. 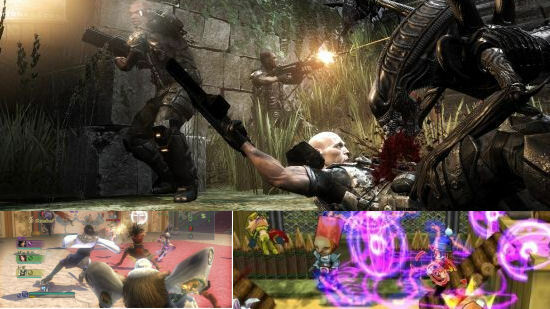 Up first is Aliens vs Predator on the Xbox 360, PlayStation 3, and PC. The game is being developed by Rebellion, who created the original AvP almost 10 years ago. The only co-op to speak of is a 4 player marines vs aliens survival mode that's available online. Another four player co-op title out this week is Dynasty Warriors: Strikeforce. The 360 and PS3 version of PSP title features online co-op play with persistent character building, over the top action, and plenty of giant monsters to fight. Finally Ragnarok Online DS features local LAN play for three players and PC interoperability. Remember any of those games can be purchased at Amazon.com to support Co-Optimus! Page created in 0.2398 seconds.